Hydrologic monitoring just doesn’t happen. It’s takes a lot of precision, team work, sweat equity (especially in the south Florida,) and perhaps the biggest chore of all – persistence. Hydrologic monitoring is the light at the tunnel that never ends. That’s why when it comes to monitoring “milestones” are so important. They give us a chance to reflect back on the past to see how far we’ve come, to review how the data is currently being used, and to look ahead into the future to refine our vision of where we want to go. 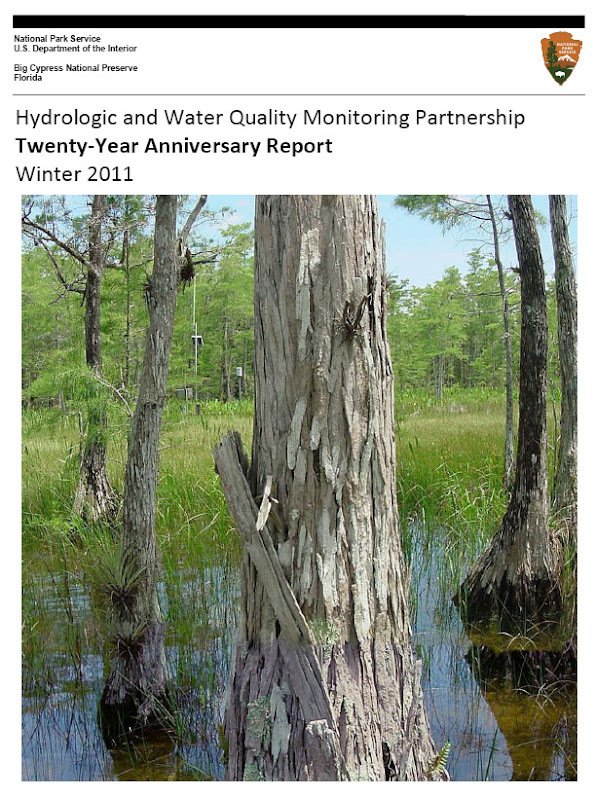 Twenty years ago Big Cypress Nat’l Preserve and the South Florida Water Management District embarked on a partnership with a goal of filling a void a in the hydrologic puzzle of the Greater Everglades Ecosystem where data was sparse or lacking scientific standards required by the water management community. The results of that partnership are highlighted in this report. Baseline monitoring is a long road, but always worth it in the end.